READY! SET! RUN! Tuesday is track and field meet of the season! 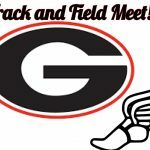 Come to the meet at Colony High School and cheer on our talented tartan runners, jumpers, and throwers by coming to their meet. Both Varsity and JV boys and girls’ events start at 3:30pm. HOPE TO SEE YOU THERE!! !